Emily Mahler is a partner in Margolis Edelstein’s Employment and Labor Law Group. She represents employers in labor and employment litigation, including claims involving discrimination, harassment, retaliation, wrongful discharge, breach of contract and wage disputes. 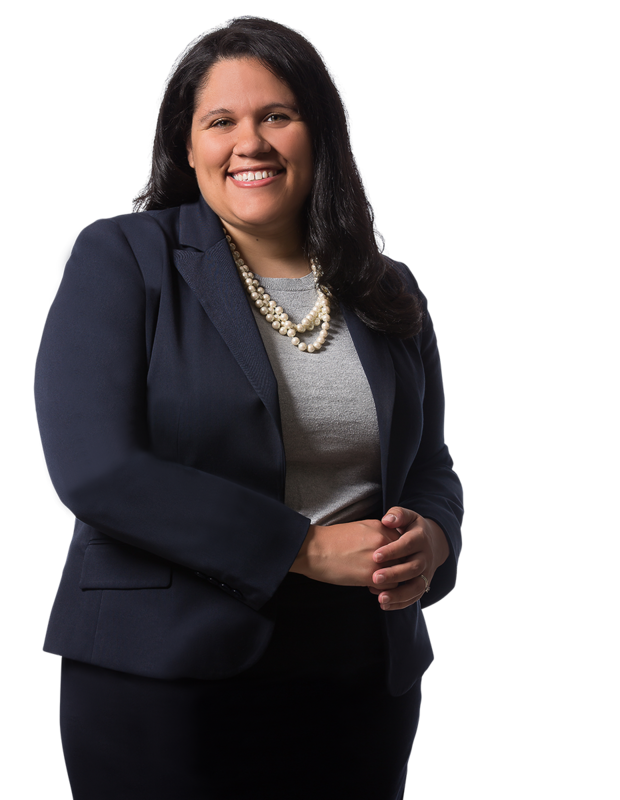 Emily represents corporations, small businesses, nonprofit organizations and public entities. She appears regularly in federal and state courts throughout Pennsylvania and New Jersey, as well as before the U.S. Equal Employment Opportunity Commission, Pennsylvania Human Relations Commission, and other state and local administrative agencies. She is a certified arbitrator in the Philadelphia Court of Common Pleas. Emily also counsels employers on employment policies, employee discipline and terminations, as well as compliance with the Americans with Disabilities Act, Family Medical Leave Act, Fair Labor Standards Act, Fair Credit Reporting Act, Equal Opportunity Reporting Act, Truth in Lending and identity theft, and other state and federal regulations. She drafts and assists employers with implementation of employee manuals, policies and procedures. She also drafts and provides guidance on severance agreements, noncompete and confidentiality agreements. Emily also defends employers in claims involving workplace torts, including assault and battery, defamation and invasion of privacy. While at Temple University Beasley School of Law, Emily served as Note and Comment Editor for the Temple Journal of Science, Technology and Environmental Law. Sharon Carter v. Mid-Atlantic Health Care - Obtained summary judgment as to all claims in an age discrimination case filed in the U.S. District Court for the Eastern District of Pennsylvania on behalf of the nursing and rehabilitation management company, successfully persuading the Court that Plaintiff failed to demonstrate that the company’s asserted basis for her discharge was pretext for age discrimination. Paradoa v. Philadelphia Housing Authority - Obtained summary judgment as to all claims in race discrimination case filed in U.S. District Court for the Eastern District of Pennsylvania on behalf of housing authority in establishing that Plaintiff failed to present evidence of discriminatory motive or pretext in discharge of former employee. SEIU Healthcare Pennsylvania v. Care Pavilion of Walnut Park (in re grievance of Michele Wright) - Obtained defense verdict at arbitration and dismissal of union grievance on behalf of large healthcare corporation in case submitted to binding arbitration before American Arbitration Association, alleging termination of union member’s employment at nursing facility without cause in violation of collective bargaining agreement. Jackson v. Philadelphia Housing Authority - Obtained order from the U.S. District Court for the Eastern District of Pennsylvania granting partial motion to dismiss, with prejudice, on behalf of a Housing Authority and its employees on claims of age discrimination brought pursuant to Title VII of the Civil Rights Act, Age Discrimination in Employment Act, and 42 U.S.C. §§ 1983 and 1985(3). Michelle Andrews v. Berlin Nursing and Rehabilitation Center - Obtained dismissal of administrative charge brought with National Labor Relations Board on behalf of large healthcare corporation in case by independent contractor alleging wrongful removal from employment at nursing facility by third party employer in retaliation for protected, concerted activity, successfully establishing the lack of a joint employment relationship between facility and third party employer. Yuchovski v. Evangelical Baptist Church of Philadelphia et al. - Obtained order from Court of Common Pleas of Bucks County, Pennsylvania, sustaining preliminary objections and dismissing Plaintiffs’ Complaint in its entirety on behalf of Church and its board members in case alleging breach of contract, wrongful termination and breach of fiduciary duty in connection with discharge of former Pastors, successfully arguing court’s lack of jurisdiction to hear claims pursuant to First Amendment principles. Gohkberg v. Sovereign Bankcorp., Inc. - Represented a class in a collective action lawsuit against multi-billion dollar banking corporation alleging violations of the Fair Labor Standards Act and New York Labor Laws in failing to pay minimum wage and overtime compensation and failing to maintain payroll records of former employees. Tomlinson v. Church of the Holy Trinity - Obtained order from Court of Common Pleas of Philadelphia County, Pennsylvania, granting summary judgment in part and dismissing abuse of process and intentional infliction of emotional distress claims on behalf of church and its vestry brought by former congregant in case alleging damages arising from his removal from the church by Philadelphia police. Faheem Hill v. Mid-Atlantic Health Care - Preliminary objections granted, complaint dismissed in its entirety, and judgment entered for Defendant on case filed in the Philadelphia Court of Common Pleas involving allegations of wrongful termination, defamation of character, discrimination by sexual orientation by Reform Act of 1978, unlawful sexual harassment, and intentional infliction of emotional distress.